PLEASE READ THESE TERMS OF SALE CAREFULLY BEFORE PLACING YOUR ORDER AND RETAIN A COPY OF THESE TERMS FOR FUTURE REFERENCE. These terms of sale apply to all goods supplied by AllNatives Online Nursery. No contract exists between you and us for the sale of any goods until we have received and accepted your order. Once we do so, there is a binding legal contact between you and us. It is your responsibility to ensure that correct goods for your purpose are ordered. You must inform us within 24 hours of the order of any error or variation required. Thereafter we shall not be responsible for any order errors or cost incurred. Contracts/Orders can be cancelled,prior to delivery.However, if we have undergone any expenses in preparation for carrying out your order these must be recouped upon issue of a refund. The description and price of the goods you order will be as shown on our web site at the time you place your order. The goods are subject to availability. If on receipt of your order the goods you have ordered are not available in stock, we will advise you of an approximate delivery date or negotiate suitable substitute plants.If requested,we will refund or reaccredit you for any sum that has been paid by you or debited from your credit card for the goods. Every effort is made to ensure that prices shown on our web site are accurate at the time you place your order. If an error is found, we will inform you as soon as possible and offer you the option of reconfirming your order at the correct price or cancelling your order. If you cancel, we will refund or reaccredit you for any sum that has been paid by you or debited from your credit card for the goods. The price of the goods and delivery charge are inclusive of GST. Title and ownership to the goods shall remain with us until they have been paid for in full. Payment for the goods and delivery charges can be made by any method shown on our website at the time you place your order. All goods shall be paid for in full at the time the order is placed. Goods may be paid for by Visa / Mastercard / Pay Pal /Bank Transfer/ Money Order or by cheque. If payment is made by cheque,money order or bank transfer at least 5 working days must be allowed for clearance prior to the goods being dispatched or collected. The goods you order will be delivered to the address you gave when you placed your order and will usually be despatched on the Tuesday following receipt of payment. If delivery cannot be made to your address, we will inform you as soon as possible, and refund or reaccredit you for any sums that have been paid by you or debited from your credit card for delivery. Delivery of the goods shall be affected when they are delivered to the nearest point to the public road which is on the delivery address. It is your responsibility to move the goods to any other part of the property and to have labour available for that purpose. All our goods are delivered by third party transport and every effort will be made to deliver the goods within the stated time and in any event within 30 days of your order. However, we will not be held responsible for any loss, damage or costs incurred through any reasonable or unavoidable delay in delivery as this is beyond our control. If at all possible, we will inform you as soon as possible of any expected delays. All goods shall be checked by you or on your behalf upon delivery and any damage or shortages noted on the delivery note. You must also at the same time notify us direct. We will not be liable in respect of any damage or shortages not entered on the delivery note. We will not be liable in respect of any defects not notified to us within 3 working days of delivery. (Subject to Clause 3.a above) you will become the owner of the goods you ordered and responsible for risk of loss of or damage to them once they have been delivered to you. You can request that your goods be left without signature, but we cannot guarantee that the carriers will leave goods without a signature. If this is the case, they will leave a card requesting you to contact them with a date when a signature can be obtained. If, at your request, the carriers do leave the goods without a signature, then you must take full responsibility for any subsequent loss, damage or theft of the goods. We need this authoristion in writing. We only select and despatch the best looking plants. They are all in excellent healthy condition, and we believe them to be true to name as near as humanly possible, but mistakes can be made. If any item is considered wrong, please post a shoot in a polythene bag and if it proves to be incorrect, we will of course replace it or arrange for an appropriate refund amount. We regret we cannot accept responsibility for failures through bad weather, incorrect cultivation, or any cause beyond our control, and any liability will be limited to the value of the plants invoiced. We shall not be liable for any consequential loss or damage by the customer. 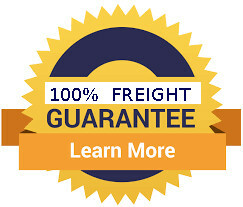 Claims must be submitted within 7 days of delivery, otherwise we assume goods arrived in good condition. We will only use the information you provide about yourself for the purpose of fulfilling your order, unless you agree otherwise. We would like to notify you of products and offers that may be of interest to you from time to time, but if you do not wish to be notified of these, please tick the box below. You can correct any information about you, or ask for information about you to be deleted, by giving written notice to us by email. These terms of sale and the supply of the goods will be subject to Australian Law, and the Australian Courts will have jurisdiction in respect of any dispute arising from the contract. The waiver by us of any breach or default of these Terms shall not be construed as a continued waiver of that breach nor as a waiver of any subsequent breach of the same or any other provision. We may assign novate or subcontract all or part of this Contract and you shall be deemed to consent to any novation. This contract is personal to you and it may not be assigned. Nothing in this contract is intended to or will grant any right to any third party to enforce any terms of this contract whether express or implied. The placing of an order whether in writing or verbally implies acceptance of these terms.